Once again, it is my honor to reach out to you as one of the many US Friends of Gladstone’s Library to thank you for your ongoing support over the last 12 months. Whether you have visited Hawarden yourself, made a financial gift, read the Library’s regular eshots or followed it on social media, you have played a part in sustaining the work of an unique institution. Through your generosity, the Board were able to make a grant of $4,000 to Gladstone’s Library at their Annual Meeting in March. The grant will support the Robinson-Spong Lectureship, the purchase of books and the Gladstone’s Living Heritage Project. In August, the Board were delighted to be the recipients of a further generous grant of $19,000 from the F.I.S.H. Foundation for the refurbishment of two adjacent bedrooms and a bathroom at the Library to provide a suite of rooms for group leaders or families. This will be a welcome and much-needed addition to the accommodation offered by the Library. Building work will be undertaken in December and January. In May, readers of the New York Times had the opportunity to learn about the Library for themselves in an article by Stephen Castle titled ‘A refuge for liberal values beneath a stern Victorian gaze’. If you missed it, just follow this link. Gladstone’s Library is part of a global network of libraries and academic institutions. In November 2016, Dr Louisa Yates, Director of Collections and Research, was on the advisory board of and a delegate at the International Conference of Independent Libraries and Mechanics' Institutes at the Mechanics' Institute of San Francisco. Visitors from the US continue to play an important role in the life of the Library community. In 2017, Robin Meyers (Oklahoma City University), Lyn Bechtel, Kalyan Dey and Michael Christensen (Point Loma Nazarene University, San Diego) have led courses while the following have acted as Chaplains: Jean Denton (Claremont, CA), Robert MacSwain (Sewanee, TN), Rod Miller (Baltimore, MD), Herb Lodder (Lutherville, MD), Martha Watson (Columbia, MD) and John Gardner (Fort Wayne, IN). Two Board members, John Blackwell & Shirley Leggett, visited the Library in March with students from the University of Mount Olive (NC) where John serves as Associate Professor of Religion. 2018 will be an especially busy year for the US Friends. We hope you will be able to join us at one of the events planned in New York in March or on the pilgrimage to Gladstone’s Library in June. Drinks reception with Peter Francis, Warden of Gladstone’s Library and the Directors of the US Friends of Gladstone’s Library to celebrate the enduring global legacy of William Gladstone. Join us for a panel discussion of the role of libraries and archives in the 21st century. 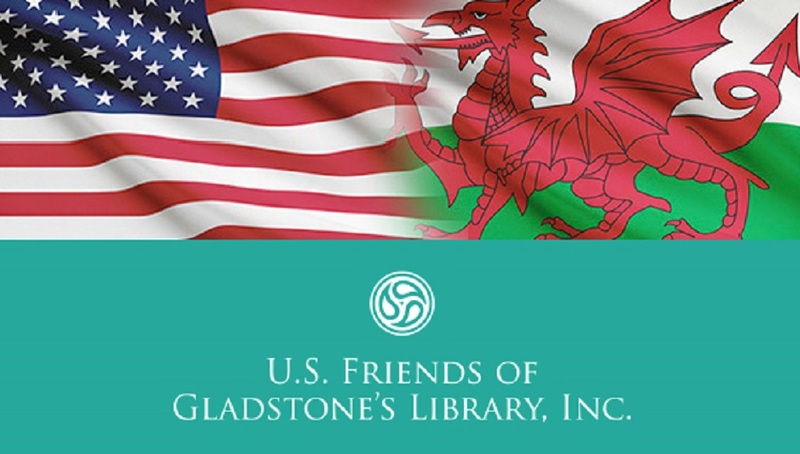 A program of events, talks and visits specially curated by Gladstone’s Library for the US Friends which will include an opportunity to learn more about William Gladstone, see some of the treasures of the collection (not usually on public display), visit Gladstone’s study at Hawarden Castle (the private home of the Gladstone family), tour the historic attractions of Chester and Liverpool and experience the sacred sites of North-East Wales. Further information on all of the above will be available in the New Year but if you would like to register your interest and be one of the first to hear details of how to book, please email annette.lewis@gladlib.org. With its public access computers, printer, photocopier and microfilm reader, Library Services is a key space for all Library users but it is an area that is in urgent need of refurbishment. The number of people - staff, volunteers, residential guests and day readers – using its facilities has increased dramatically over the last couple of years. The layout of the room needs to be reconfigured so that up-to-date equipment and space-saving furniture can be installed. The Library’s microfilm reader is ancient, cumbersome and awkward to use. It cannot interface with accessible software nor can it be upgraded in any way. It is, however, a vital piece of equipment as it allows Readers to view microfilm copies of the political papers of William Gladstone which are held at the British Library in London. Access to this material is particularly important for those undertaking research of Gladstone’s personal papers held at the Library. The Library wishes to purchase a digital microfilm scanner (plus PC and monitor) so that it can offer the best possible access to this important historical resource. The printer currently used to produce Readers and Friends cards is rapidly approaching the end of its useful life. It has done sterling service over the last few years printing cards for around 3,000 Day Readers and more than 1,400 Friends. With more people than ever before signing up each week as Day Readers or Friends of the Library, the need for a replacement printer is becoming increasingly urgent. The Library’s catalogue is now cloud-based so the two desktop computers currently used to search the catalogue can be replaced by tablets on lockable floor stands. Bulky desk furniture can be put to good use in the Reading Rooms and replaced with ergonomically designed desks and chairs which are better suited to the needs of today’s library users. Please consider whether you can support this essential work by making a gift today. Pleaseclick here to make an online donation by credit card. If you wish to discuss other ways of making a gift or donation to US Friends of Gladstone's Library, please contact Annette Lewis at annette.lewis@gladlib.org. I am sure you will agree with me that the world needs Gladstone’s Library and all it stands for more than ever. We must each do what we can to help Peter Francis and his staff move forward, promoting the Gladstonian values of human rights, democracy and religious tolerance.